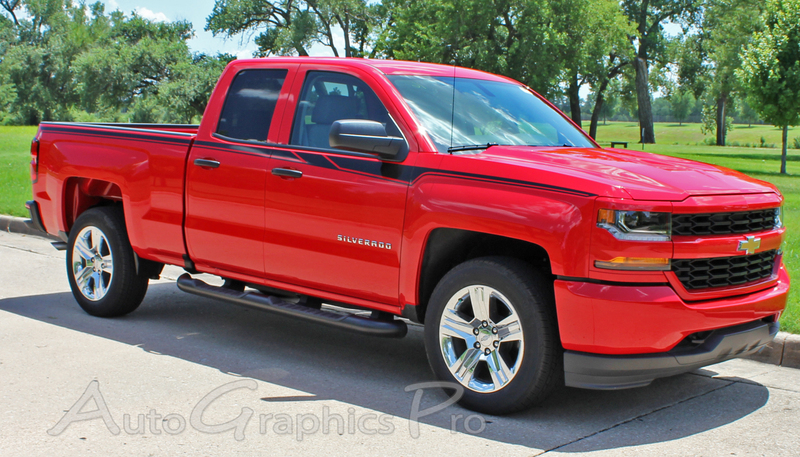 The ACCELERATOR vinyl side upper door accent striping kit for the all new 2014 2015 2016 2017 2018 Chevy Silverado truck is another "Special Edition Rally Style" with a factory look side door stripe, and makes an excellent upgrade breaking up the distinctive body lines of this fantastic Chevy Silverado truck model. 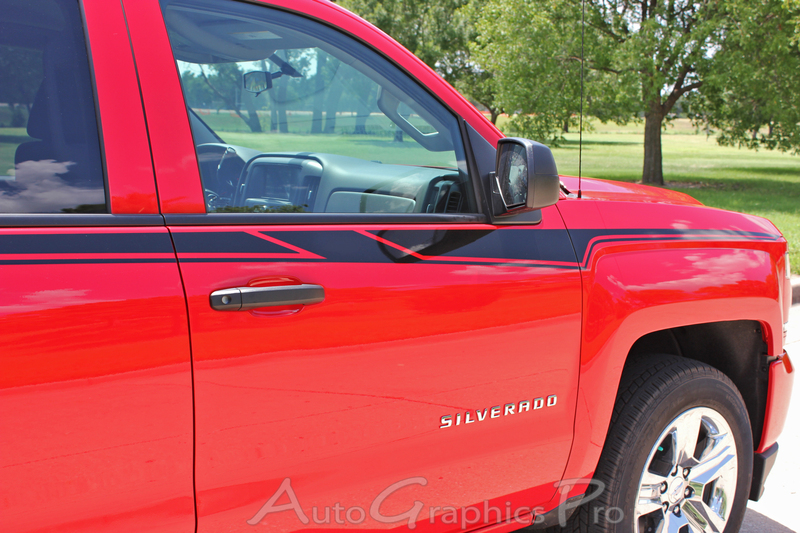 Add an improved look with this easy to install vinyl graphic accessory package, providing an amazing transformation for your new truck! 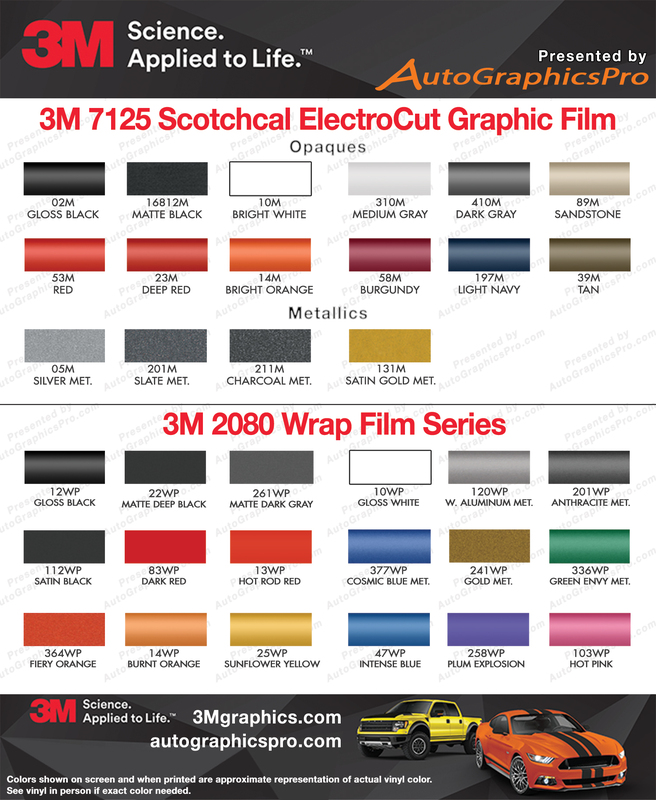 The "ACCELERATOR" vinyl graphic kit includes driver and passenger side body vinyl stripes as shown, ready to install and arranged in a way for easy installation! 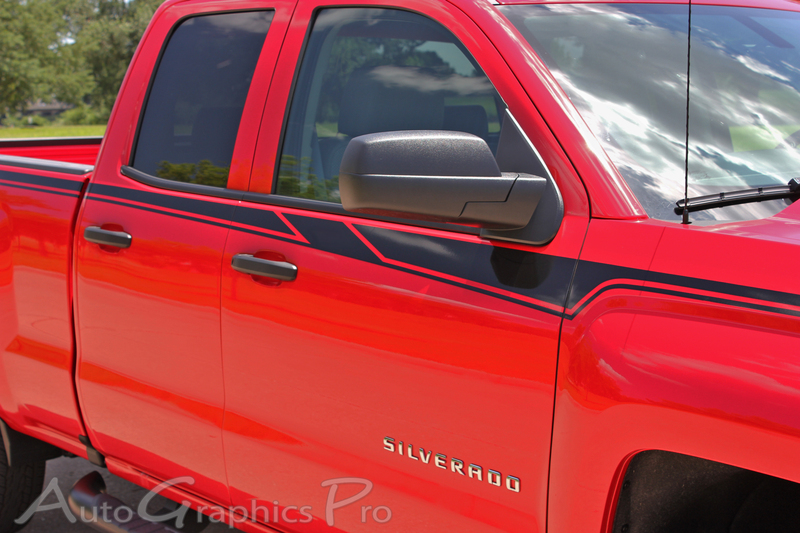 The new Chevy Silverado is a spectacular addition to this generation of full sized pickup trucks, and these vinyl graphic stripes will add a needed customization for a more factory look without the OEM price! 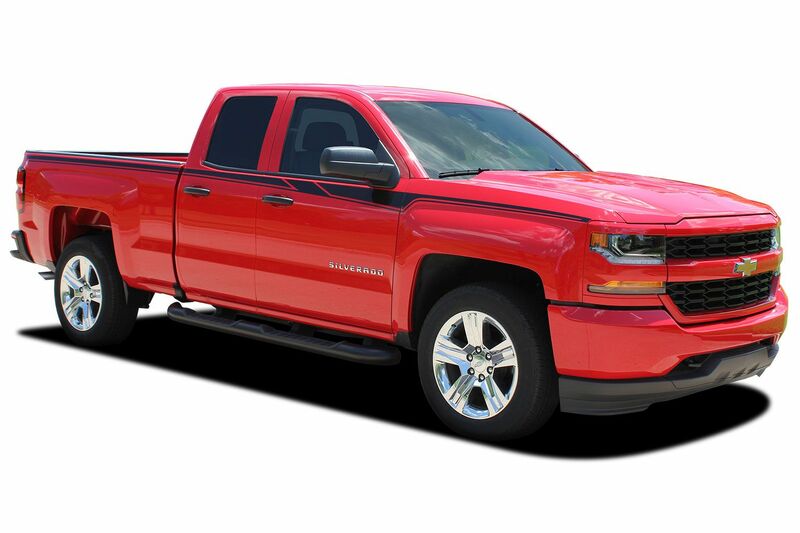 This Chevy Silverado "ACCELERATOR"vinyl decals package kit is pre-cut and designed to fit the body style and model indicated above, and is manufactured using 3M High Performance vinyl, and available in many vinyl color styles. This design fits the 1500 Chevy Silverado Models. 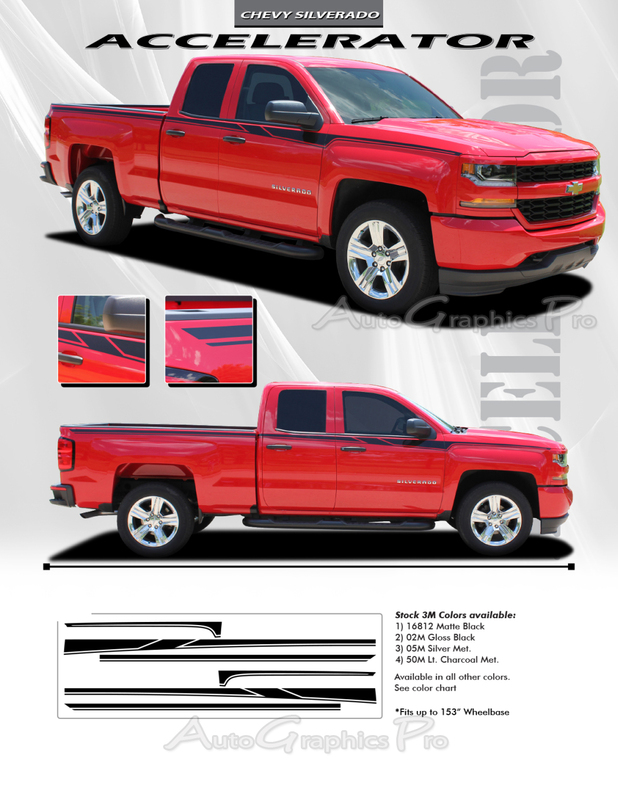 This is a very nice designed graphic with just enough flare to help accent the lines of my 2016 Silverado. The black Looks awesome on my white truck even my local car dealer liked them. Thanks Auto Graphics Pro.